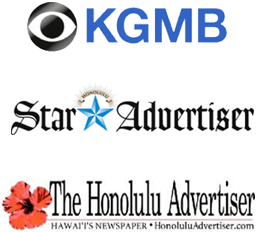 Protecting Hawai'i injury victims for over 40 years. Falls account for more than 8 million emergency room visits every year, accounting as one of the leading causes of hospital visits in the United States. Of these, roughly 1 million are slip or trip and fall injuries. Many of these falls result in injuries like fractures and broken bones, including many that involve the knees, hips or ankles, brain injuries or can even be fatal. If you have suffered a slip and fall accident, contact the premier Honolulu Slip and Fall Accidents Lawyer, Dennis W. Potts to see if your case merits a personal injury lawsuit. 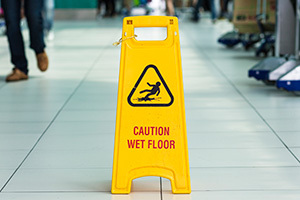 Damages awarded for injuries due to slips or trips and falls vary, depending on the cause and severity of the accident and the age of the victim. If you have been injured in a slip or trip and fall accident, you may be wondering if you are eligible to receive compensation for medical bills or lost income. When the fall is a result of someone else’s negligence, that is behavior where that person fails to exercise reasonable care, you may be able to recover compensation for your injuries. For example, if a business owner noticed that the floor in his or hers business establishment was cracked or uneven, but did not make an effort to repair them or post a warning sign, he or she may be considered negligent if a person sustains an injury as a result of those. Honolulu Personal Injury Attorney, Dennis W. Potts will look at the merits of your case and help you get started. Hawai’i is a comparative-negligence state. Comparative negligence assigns a percentage of blame to both the plaintiff and the defendant. If the plaintiff is found to be more than 50% at fault, he or she is ineligible to receive compensation. Whether the condition on the owner’s premises was dangerous? Whether the owner was aware of the dangerous condition? Whether the owner took timely action to repair or remove the dangerous condition? Did the plaintiff act in a way that may have contributed to his or her own injury? Does the plaintiff have adequate documentation of injury, and does he or she have supporting physicians’ reports? If the plaintiff is found to be less than 50% liable, compensation will be adjusted by that percentage. For example, if the total damages amount to $10,000, and the plaintiff is found to be 20% at fault for his or her own injury, he or she will only receive the remaining amount (80% or $8,000) from the defendant. This allows the plaintiff to receive compensation to help with medical bills and lost wages, even if both parties are found to be negligent. If you have been injured in a slip or trip and fall accident, seek competent representation as soon as possible. The state of Hawai’i allows plaintiffs to file suit within two (2) years of the accident, but the sooner you acquire representation from an experienced Honolulu Slip and Fall Accidents Attorney, the sooner we can start to work on your case. An attorney can help you collect and organize all necessary documentation to substantiate your case. To speak to a personal injury attorney with over 40 years of trial experience, contact the Law Office of Dennis W. Potts today at (808) 537-4575.